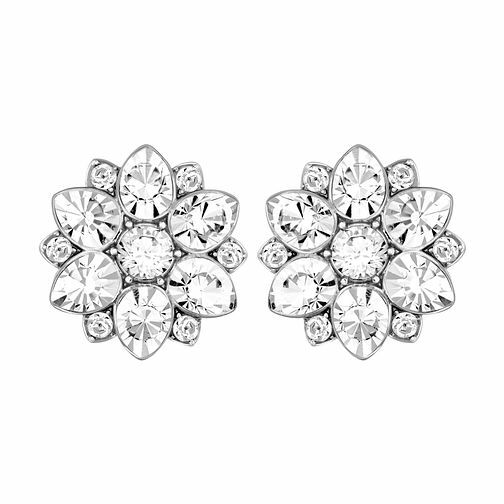 Striking stud earrings made of Swarovski crystals arranged into a beautiful flower shape. Chic and glamorous. Swarovski flower stud earrings is rated 4.8 out of 5 by 6. Rated 5 out of 5 by Anonymous from Great looking earrings Amazing earrings very sparkly and not too small! I cant wait to wear them on my wedding day!! Rated 4 out of 5 by Anonymous from Elegant, high-quality jewellery which is suited to anyone The earrings are beautiful. The quality is high. My s.o. was very pleased. My only comment is that they are perhaps bigger than expected - not that this has disappointed!